Keep on running for a good cause. Posted byChristopher	 November 14, 2018 Leave a comment on Keep on running for a good cause. 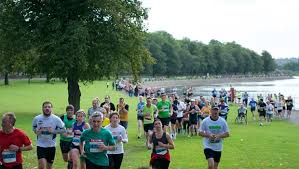 Running has become an incredibly popular way of keeping fit and with numerous park-runs, half marathons and marathons available throughout the country many people are choosing to raise some money for their favourite charity whilst challenging themselves on their fitness and running stamina. 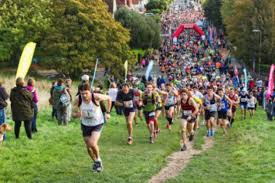 If you are looking for a marathon to attend either as a participant or a spectator here are some of the most popular ones across the country. Probably the largest organised marathon in the UK. If you are lucky enough to receive a place in the ballot for this race you will be running alongside (not literally) some of the greats in the world of running. The atmosphere is electric at the race as the streets are lined by thousands and thousands of spectators cheering on the runners as they pass by. At the race you will find hundreds of people dressed up in a variety of costumes all raising money for one of the many charities that need financial support. If you are looking for a marathon that is both well organised and scenic then the Robin Hood Marathon is a great o to take part in. The route takes you past Nottingham Castle and the statue of Robin Hood. It is a very inclusive race with those people who are only taking part in a half race running alongside the full marathon runners. For some runners uneven ground and hills can cause a problem with both their knee and ankle joints. Mablethorpe is a marathon that is on flat ground and you will often find novice runners taking part in this as their first step into the marathon running world. You can also enjoy a sea-side feel during this run taking you alongside the beach huts and funfair. In contrast to Mablethorpe this is far from a flat race. The off-road track starts with a vertical climb out of the town of Eastbourne. It is not a race to wear your best trainers to, as by the time you reach the summit of this climb you will be nicely caked in mud. However, once you reach the top the views are spectacular, and a portion of the race sees you running along the chalk cliffs known as the Seven Sisters as you complete the final six miles of the route.